The Spacelab guide to the best film festivals in 2016. 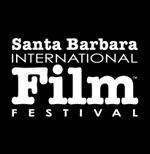 Check out film festival lineups, tickets and videos for Fall / Winter / Spring and Summer film festivals. Follow the USA, Europe and Canada.